A Universal Design Project, Inc.
Another frustrating article just came over the wire and I was hopeful at first but again disappointed at more use of the term "universal design" in place of the word "accessible". While universal design is always accessible, "accessible" is NOT ALWAYS universally designed. Retrofit clauses and age in place remodel contracts are only setting the stage for more disruption to people's lives and more cash outlay for them down the road. Who is to say a contractor will still be in business by the time a person may need the retrofits an age in place remodel contract might cover? This is bogus and a lame way to do it. Not to mention, it is perpetuating the staggering misconception that universal design is only for the aging. A Universal Design Project was established to lead a shift in construction and rehab to a more universal standard in order to meet the diverse needs of the general population. Based in St. Louis, MO, our focus is guidance on development and reconstruction of real property to appeal to a multi-demographic. In addition to new construction advising, we work to help re-purpose outdated houses and buildings as a means to minimize the environmental impact of construction while adding value to, and extending the useful life of otherwise functionally obsolete properties. Advising and educating about UD as a crucial element of the planning process helps maximize the value of the project's functional life and minimize costs spent on expensive retrofits brought on by poor planning. Universal Design is the key to a more economically and efficiently run society. This statement is backed up my observations as a working Realtor® for fourteen years and motivated by my life as parent and caregiver to my daughter Mia who was born with a spinal cord injury and relies on a walker, wheelchair and canes to navigate her life. 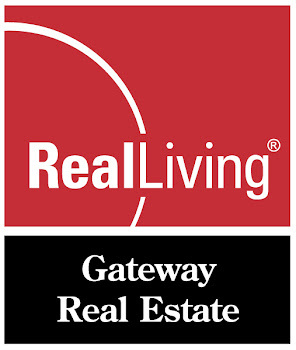 On a daily basis, my work in real estate shows me the lack and my life with my daughter illustrates the need. I live this, so my objective with this project is sharing the knowledge gained in both roles and through my studies of universal design with a goal of making life easier for people to live fully functioning lives that allow them to thrive and not just exist, in their homes and beyond. It remains my hope these efforts will inspire others to work toward the same. It's a big world out there and we have got to work together on this enormous task to make it a truly universal success story. "Universal Design is a process that enables and empowers a diverse population by improving human performance, health, wellness and social participation." Universal design makes living easier for EVERYONE. Universal Design, also knows as Inclusive Design or Design for All, is more than an industry buzz term or the latest fad in residential design and construction. It is smart design. In layman's terms, it's style meeting accessibility. At it's core, it's a baseline of human centered design principles to be followed with thoughtfulness and creativity during the planning process before a project's construction phase begins. 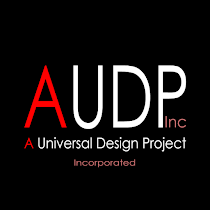 Applied universal design allows efficient and effective use of time, energy and resources. It is a concept that applies to the built environment as well as products and services that accommodate a global user without stigmatizing. Why do you need a universal design consultant? Because constructing or reconstructing environments in this day and age and not applying UD principles is employing outdated practice and can lead to large future expenses that may hit when you least expect them. By having a universal design consultant as part of your next building, home improvement or modification project, you will not just maximize the usability of your space, you will ensure added value and future marketability of your home or project. Site copyright 2017 A Universal Design Project, Inc.. Simple theme. Powered by Blogger.